Prior to dining in the restaurant why not take the opportunity to relax, peruse the menu and enjoy a pre-dinner drink in our comfortable lounge bar with open log fire, or out on our furnished terrace and lawns during the summer months. 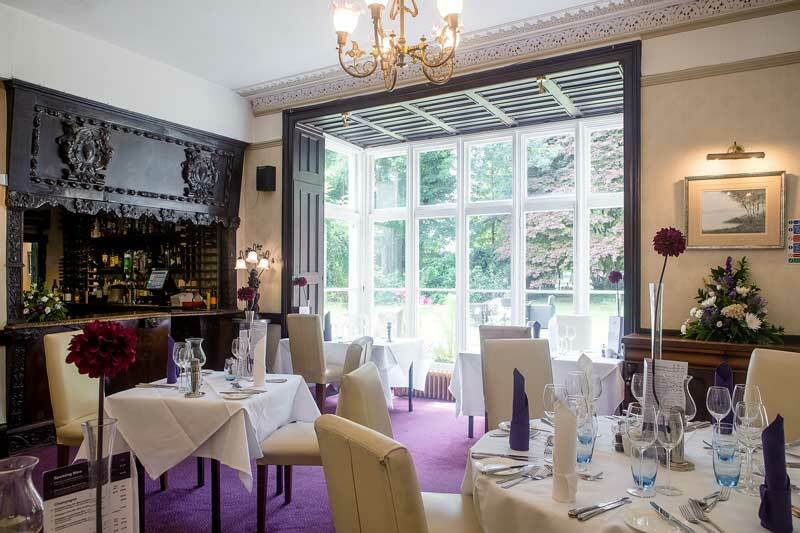 The Garden Restaurant offers intimate dining and as the name suggests has magnificent views of our grounds and the surrounding countryside through the large Victorian bay window. Capturing the feel of yesteryear with crisp linen table cloths and original features of the house, the restaurant is complemented with touches of a more modern feel from the vibrant colour of our napkins to the fine crystal glassware on our tables. Whether you join us for Breakfast, Lunch or Dinner we have menus to suit all tastes, from a light bar snack through to a full three or four course dinner. Our Chefs change the menus on a regular basis and source many of the fresh ingredients from local suppliers. Private dining is available (subject to availability) so if you are looking to host a more intimate dining experience or perhaps join us for a special celebration we can cater for groups from 6-120 persons. Our professional, friendly restaurant staff look forward to welcoming you and if there is something you would like and we can oblige, please ask. 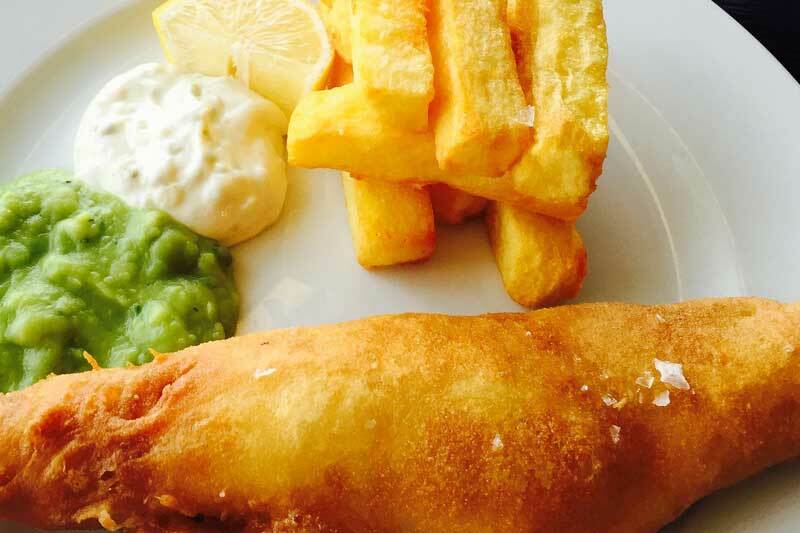 Take a look at our 2 courses for £12.50 lunch menu. 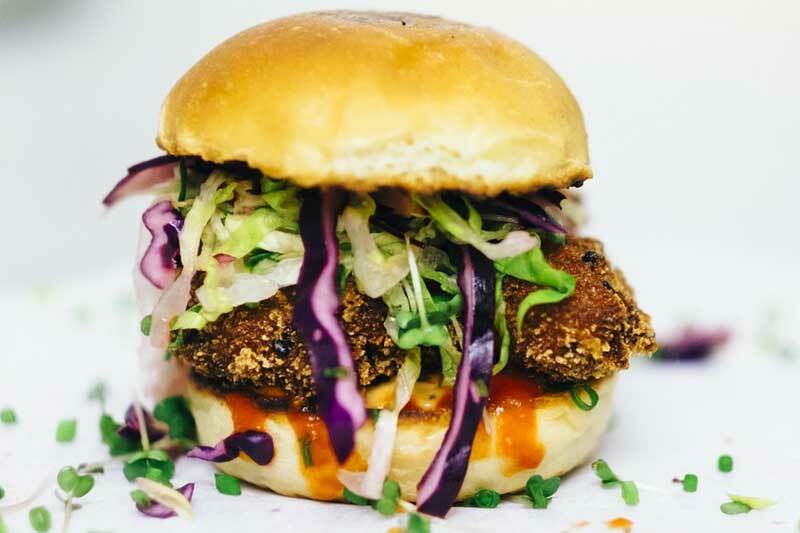 It’s very popular with many stopping in on long journeys, having a working lunch or just as a treat. 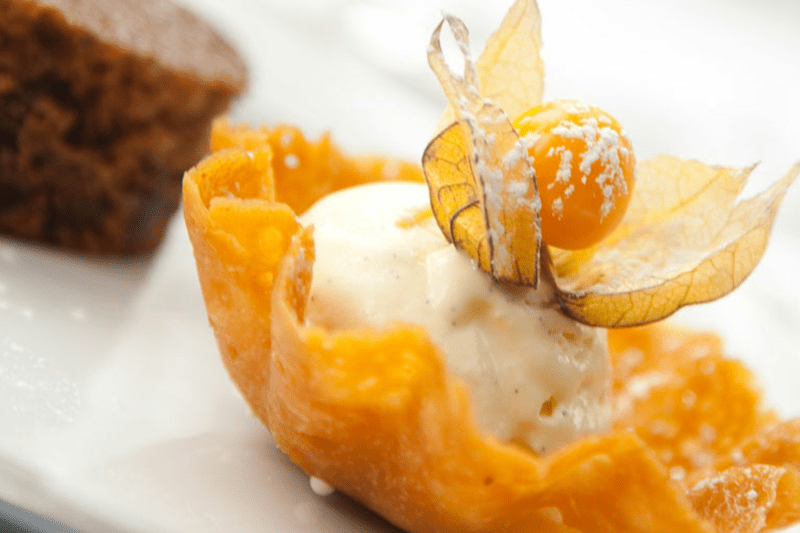 Can be eaten in our Garden Restaurant, Lounge Bar or out in our lovely grounds. Our Chefs source many of our fresh ingredients from local suppliers. Our fine food is complimented by our wine list which boasts a choice of 40 whites, reds, rose, champagne and dessert wines. 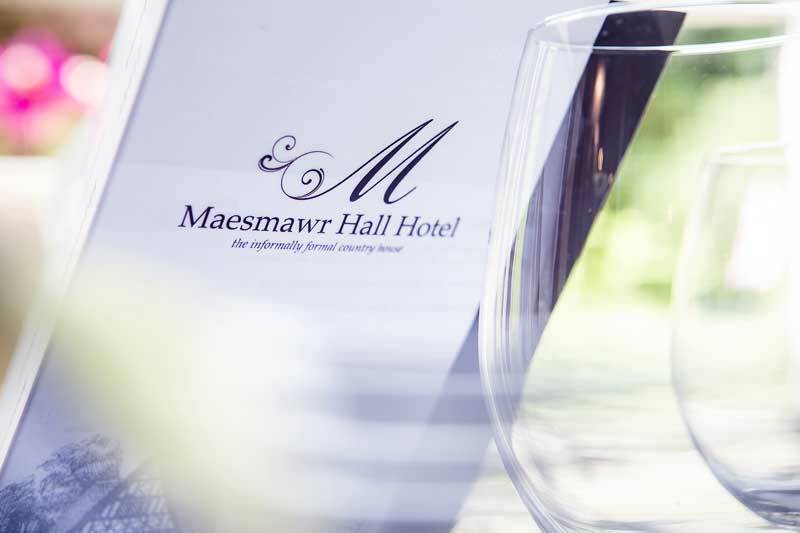 Our Chefs have made Sunday at The Maesmawr Hotel something special. 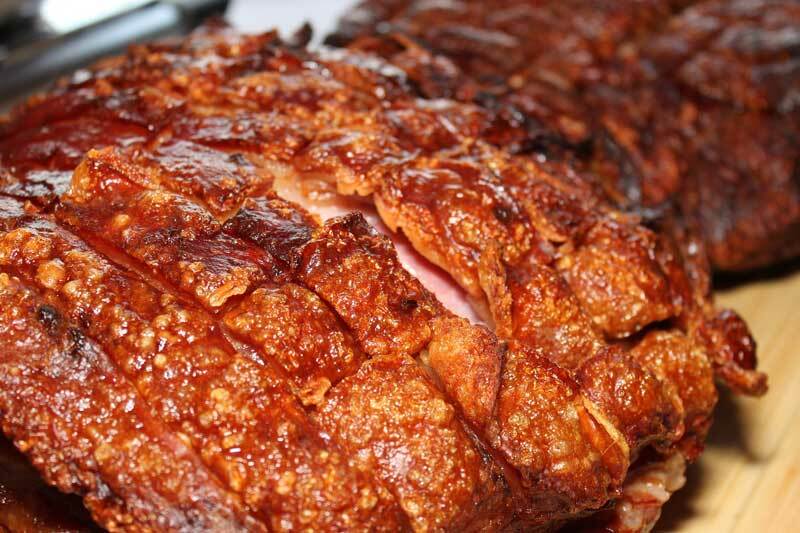 Alongside the traditional Welsh beef, lamb and pork we offer a varied menu to suit all tastes. 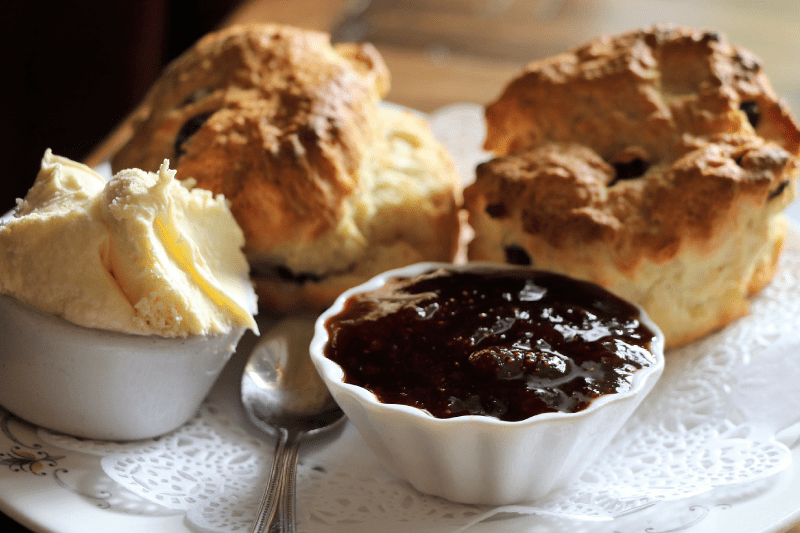 Enjoy a selection of finely cut sandwiches, freshly baked Welsh scones with clotted cream and strawberry preserve and a mouth-watering selection of cake and Bara Brith. Here at Maesmawr Hall we care about your childrens’ wellbeing as much as you do. That’s why our children's menu has quality ingredients and fresh flavours that make eating fun. 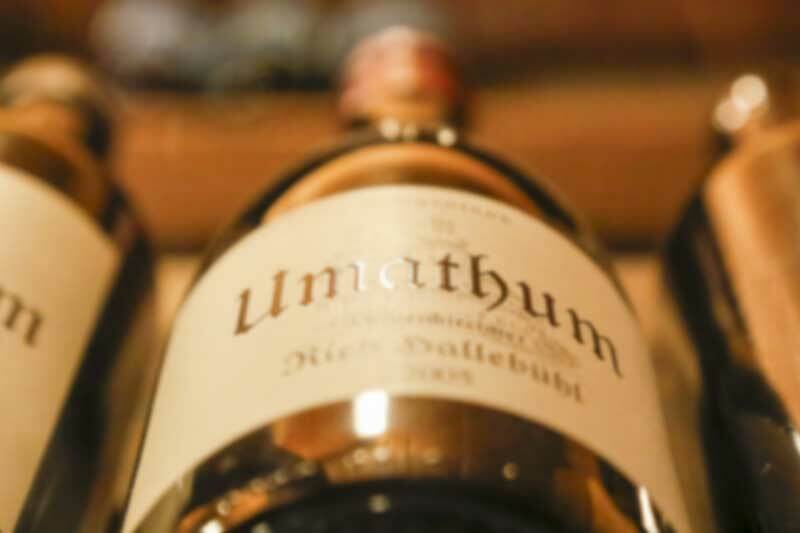 Our fine food is complimented by our wine list which boasts a choice of 40 whites, reds, rose, champagne and dessert wines.